Today, December 11th, was our Annual Holiday Luncheon. 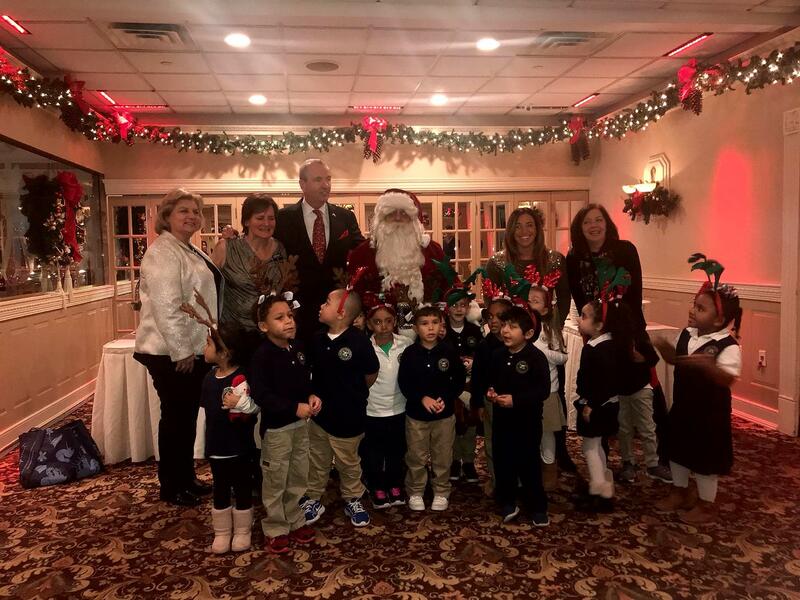 We invite a Prekindergarten class from one of our schools to the luncheon. The students sing a few songs. Santa makes an appearance for photos with each child. Each child receives a gift from Santa. After Santa leaves, the children are treated to milk and cookies. Today our students were from the Midtown Community School. We had Governor Phil Murphy stop by. He took a photo with the students, teachers, principal and our club President, Rosemary Kellner. Shortly after the Governor left, Mayor James Davis stopped by. He also took photos.